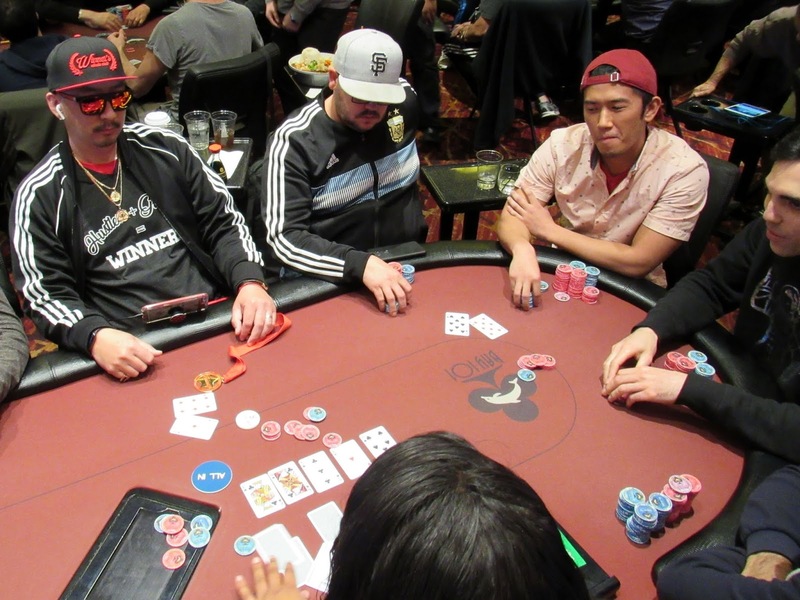 Over on table 26, Dylan Wilkerson is all in on a three way pot with the board reading [8s][Qc][8h][8d][3d]. Joe Stapleton tables [Ts][9c] and the third opponent tables [Jh][Tc]. Dylan proudly whips over [As][5s] to triple up his short stack. Across the room, Joe Nguyen is all in with [Ad][6d] against Ari Shin's[8s][8d] and the board reads [Kc][Qc][3c]. The [Ah] hits the turn to put Joe in the lead, and the [7s] river means Joe has survived as well, doubling his 36,000 stack.